Maimeri Venezia watercolors provide good uniform coverage with a velvety matte finish and the maximum degree of lightfastness. Burnt Umber is a more intense reddish brown pigment that results from heating the clay pigment Raw Umber. It has medium to excellent tinting strength and high opacity, and it is quick drying in oil form. 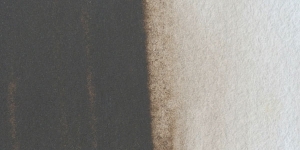 Burnt Umber is somewhat more transparent than Raw Umber. 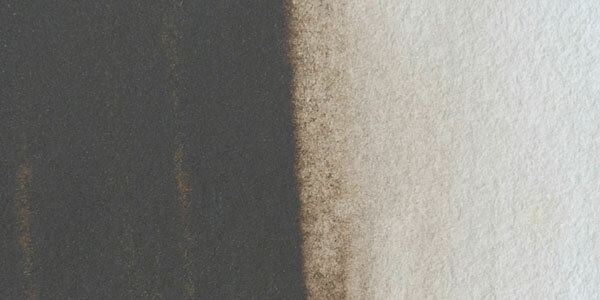 It has excellent color properties and can create a variety of subtle, clear tints when mixed with white. It can tend towards chalkiness in dark mixes in oil form, but overall it mixes well with other colors. To create a black color in oil form, mix Burnt Umber with Phthalo Blue or Ultramarine. To achieve a similar color in watercolor form, mix it with Ultramarine or Payne's Gray. Burnt Umber has good permanence. Burnt Umber itself is considered non-toxic. If contaminated by manganese compounds, it may be highly toxic if inhaled and moderately toxic if ingested. Chestnut Brown, Euchrome, Jacaranda Brown, Mars Brown, Mineral Brown, Raw Brown, Spanish Brown, Van Dyke Umber. Cyprus Umber, Turkey Brown, and Turkey Umber are the best quality umbers.